TRITECHFORENSICS Training is privileged to have taught students from almost every state in the United States, as well as some from foreign countries, too. In addition to the continental United States locations shown below, we've also hosted students from Alaska, Hawaii, Bermuda, Canada, Guam, Puerto Rico, South Korea, the Bahamas, China, the Netherlands, and the U.S. Virgin Islands. 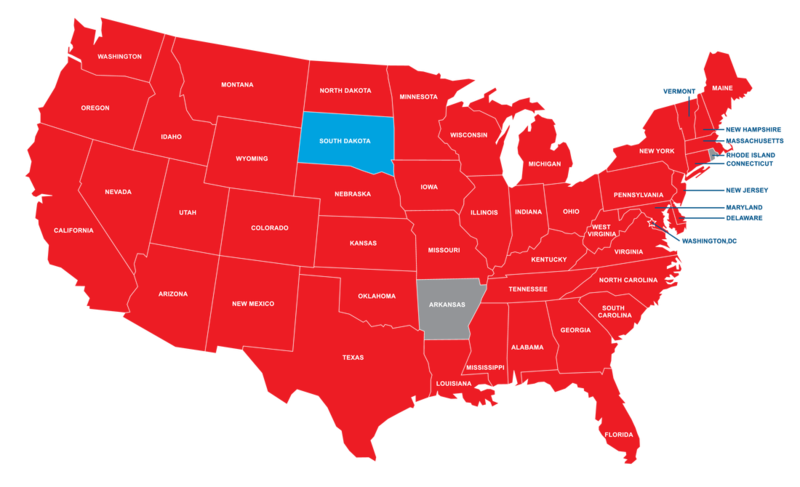 MAP KEY: States in red denote those from which we have had students; blue state(s) denote incoming students; and gray states are those from whom students have yet to attend. Will you be the one to make that state red?